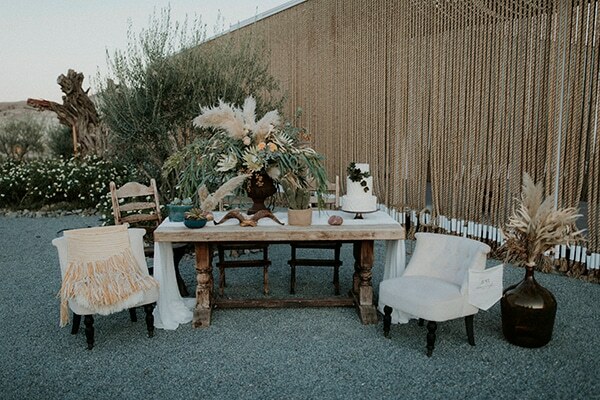 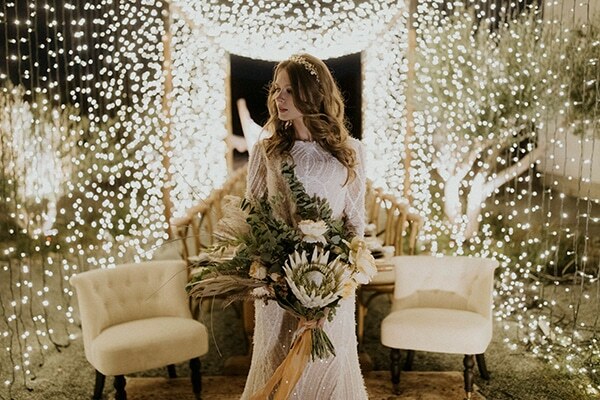 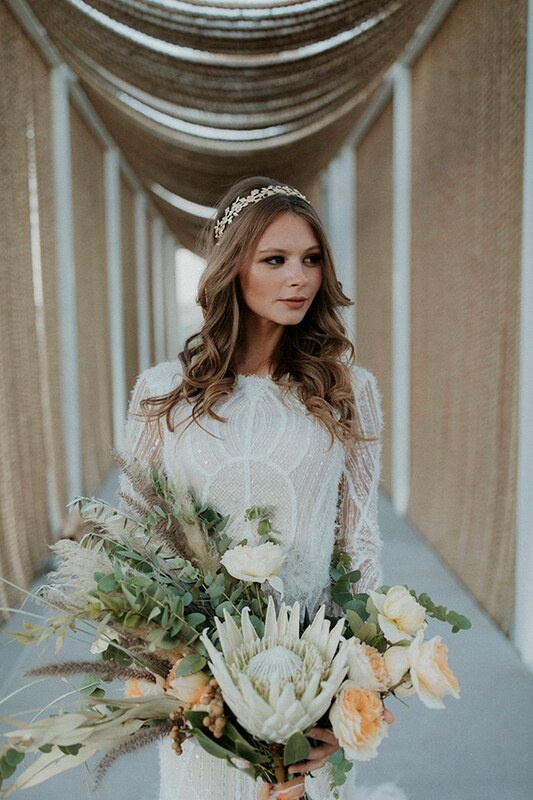 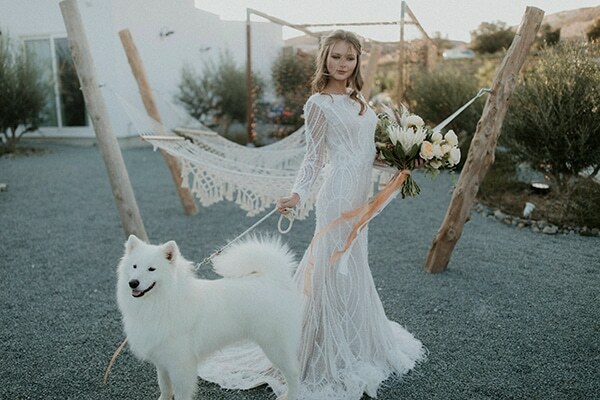 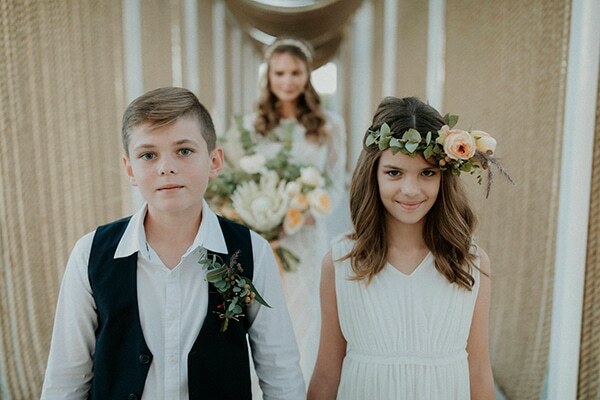 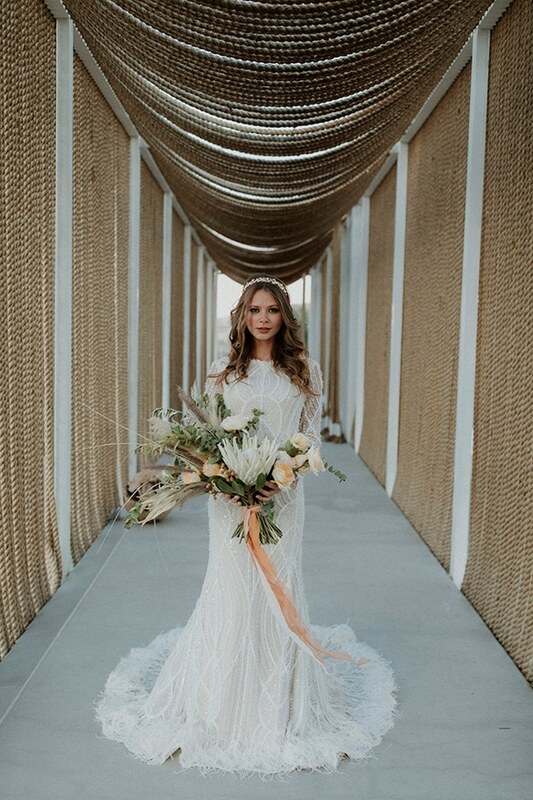 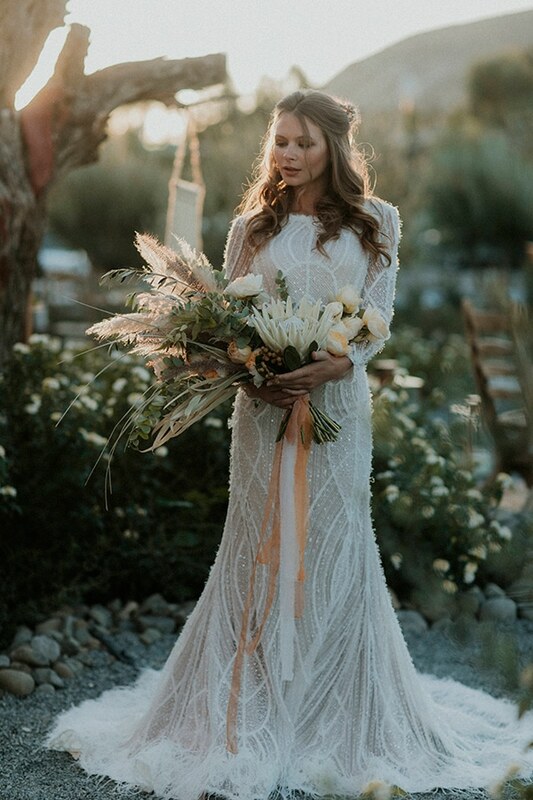 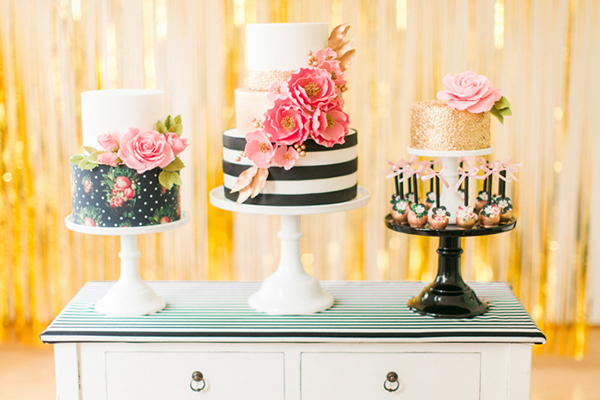 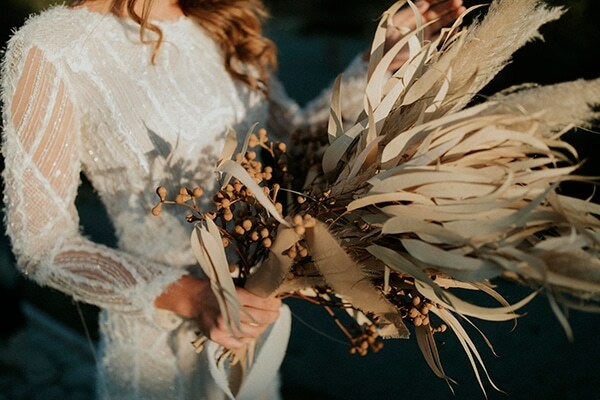 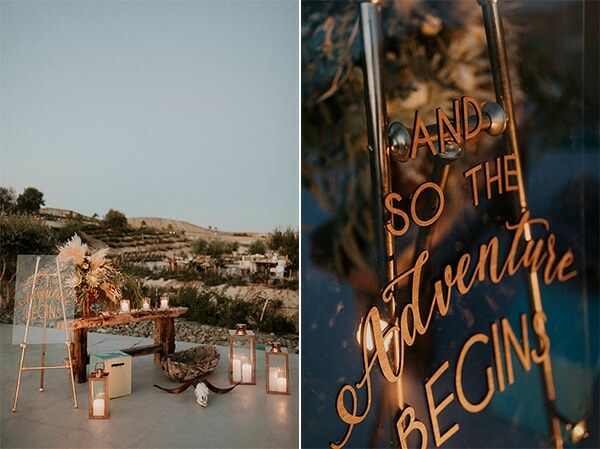 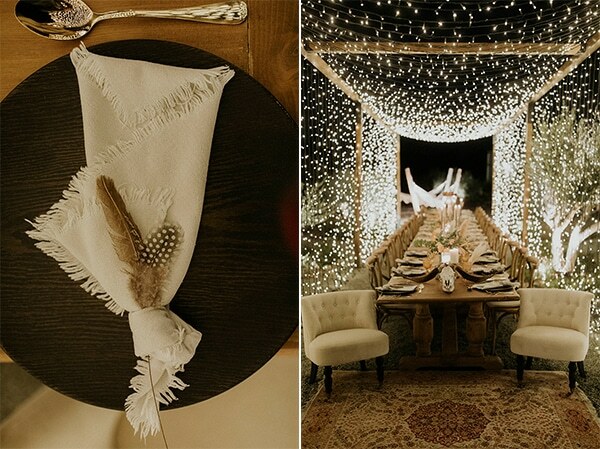 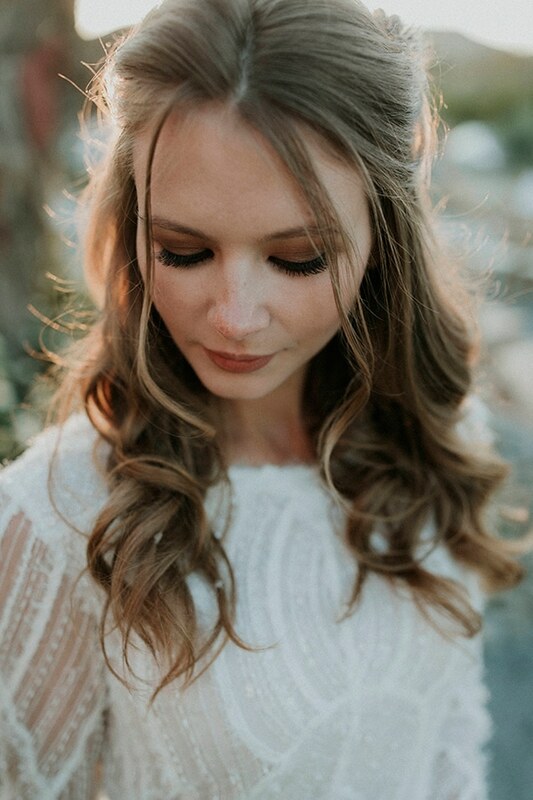 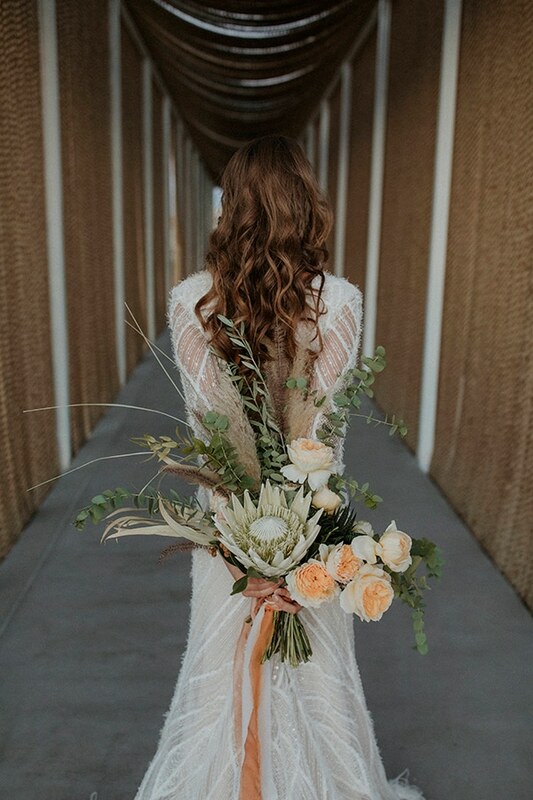 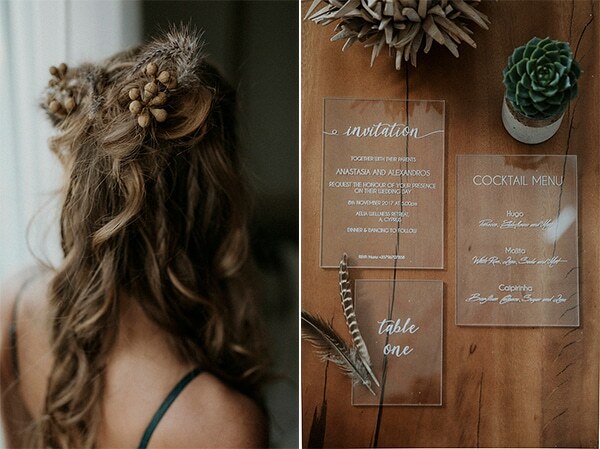 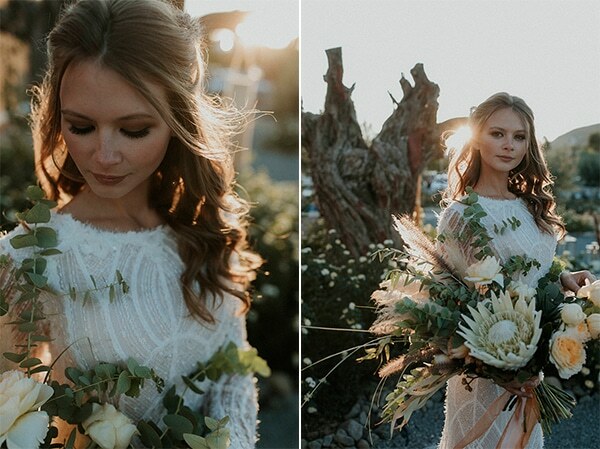 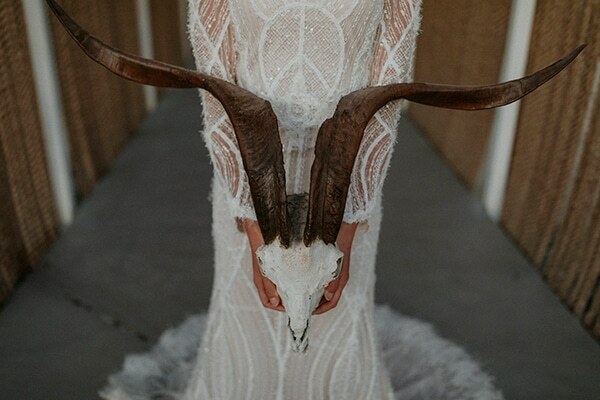 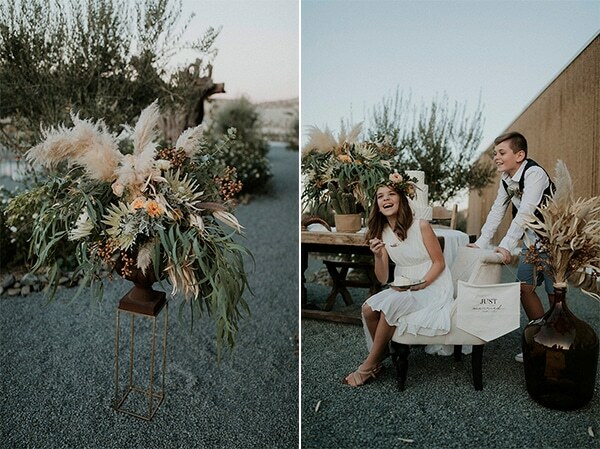 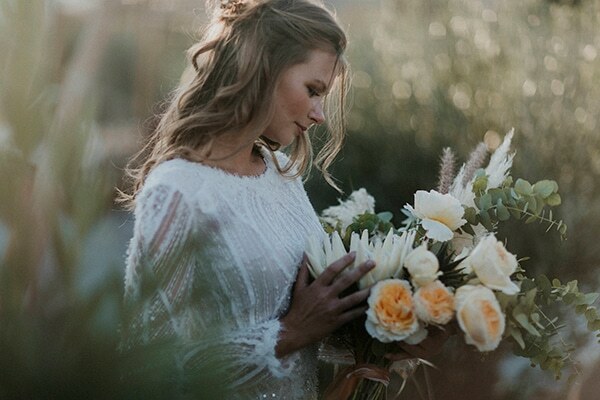 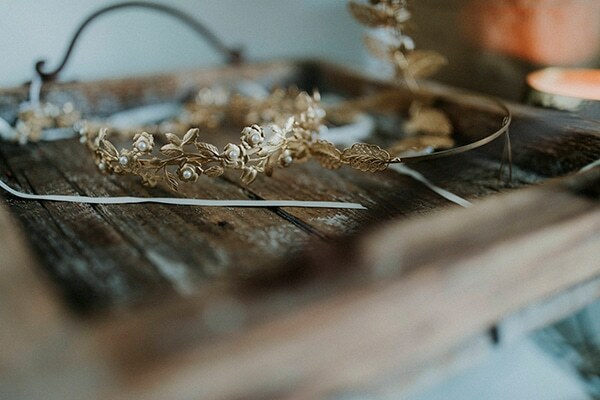 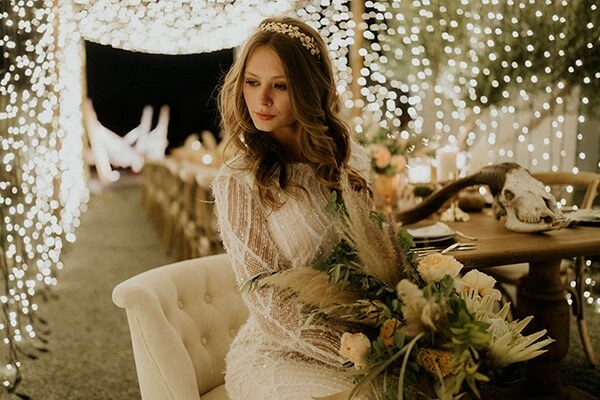 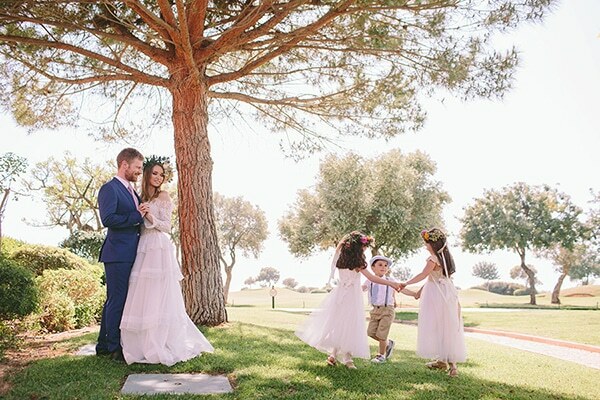 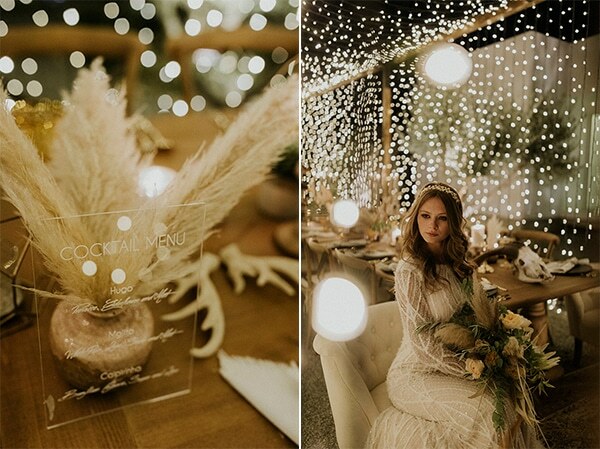 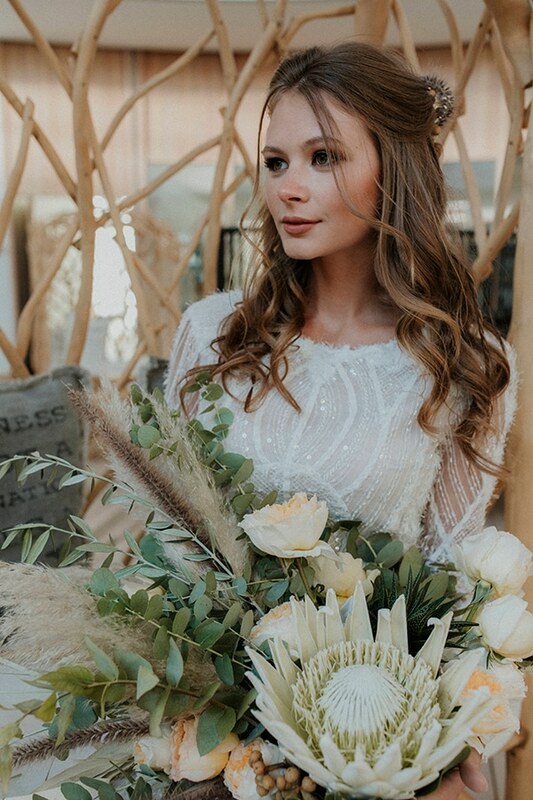 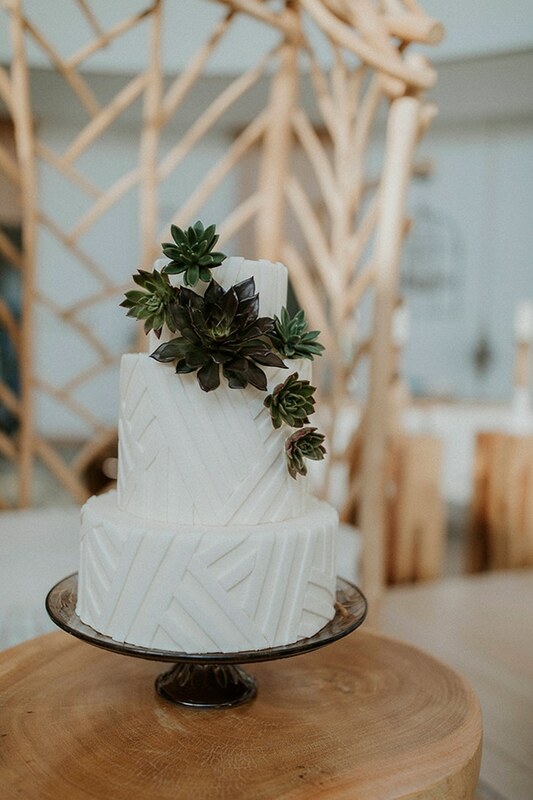 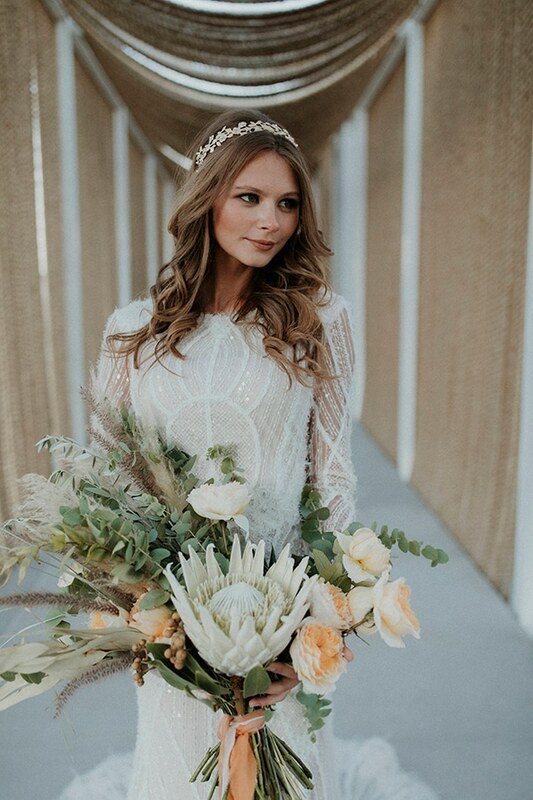 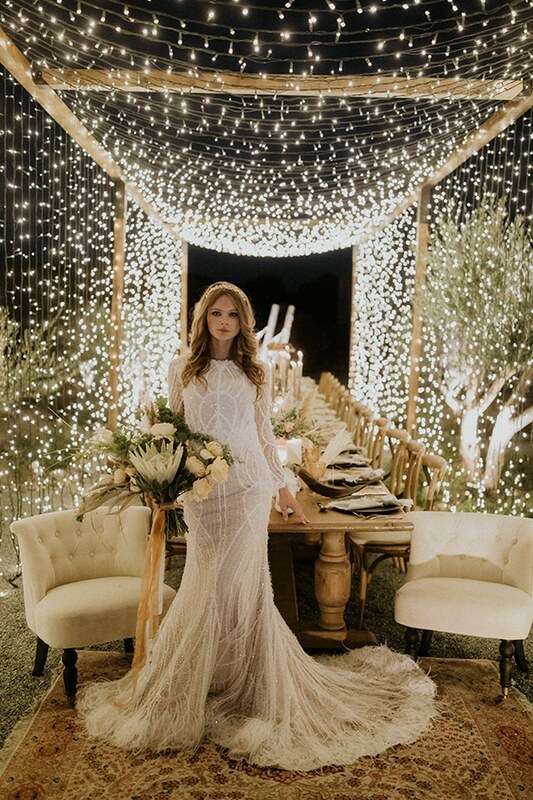 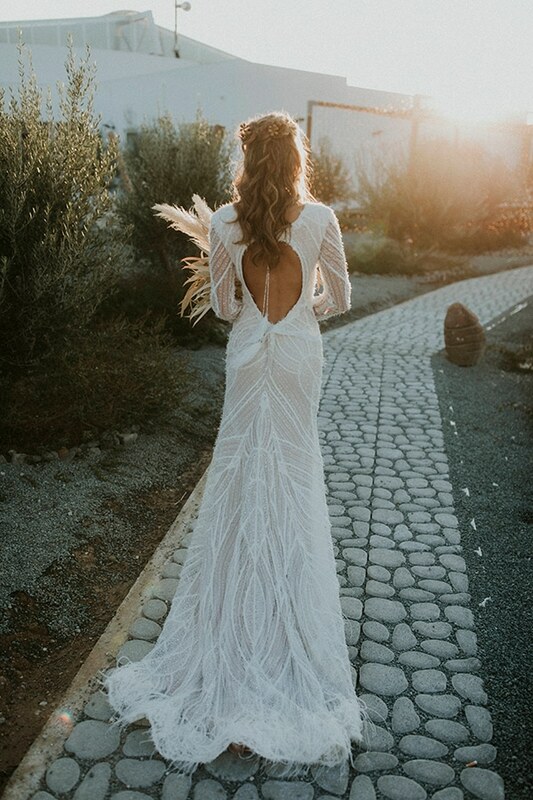 This boho desert wedding photoshoot is pure magic! 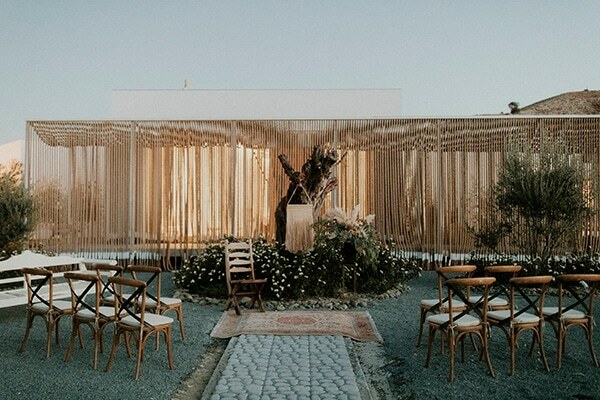 Today’s photoshoot sets the beginning of a new outdoor, luxurious area at the Aelia Wellness Retreat, that is an ideal place to host a wedding. 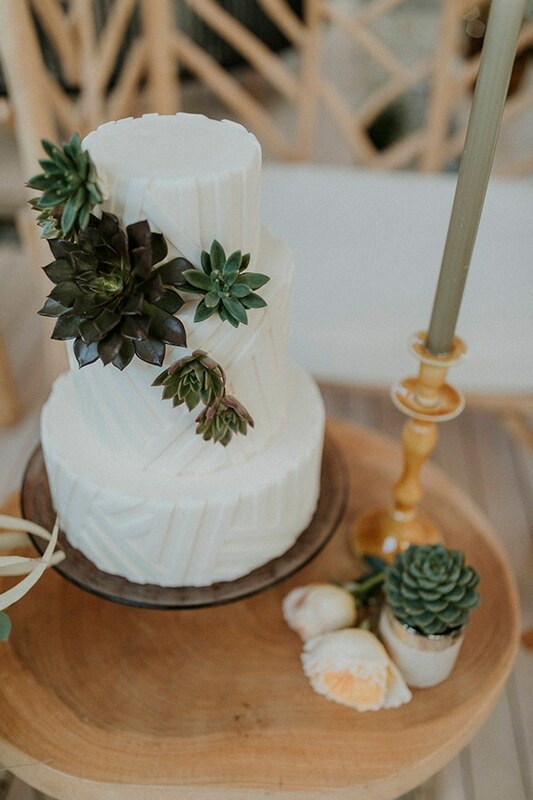 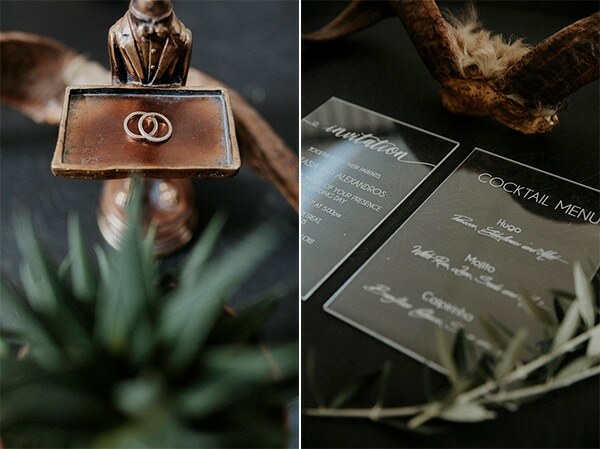 Get inspired through the following beautiful photos by Louis Gabriel Photography and admire an exceptional creation of The Event Co. team, which gave us a first taste for the next awesome weddings that are going to follow in this unique place. 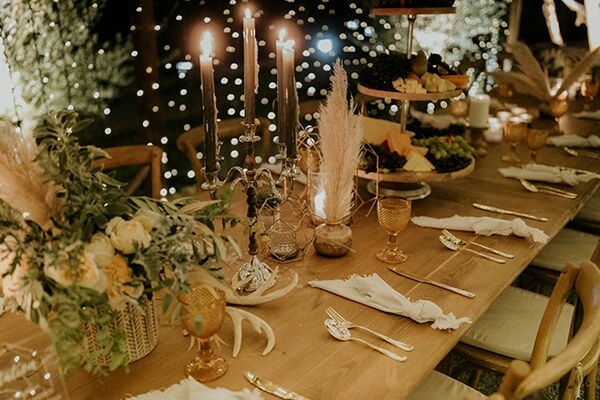 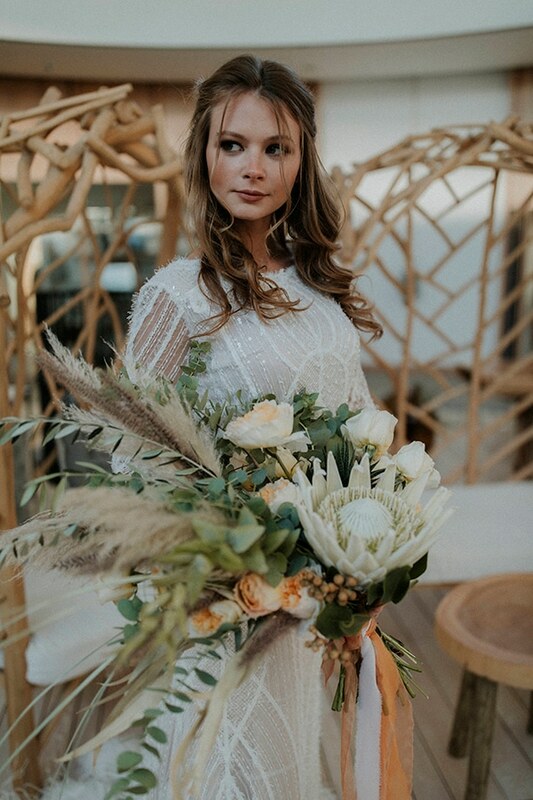 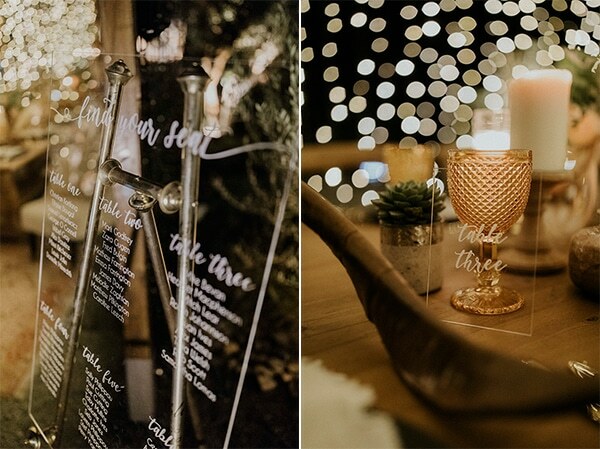 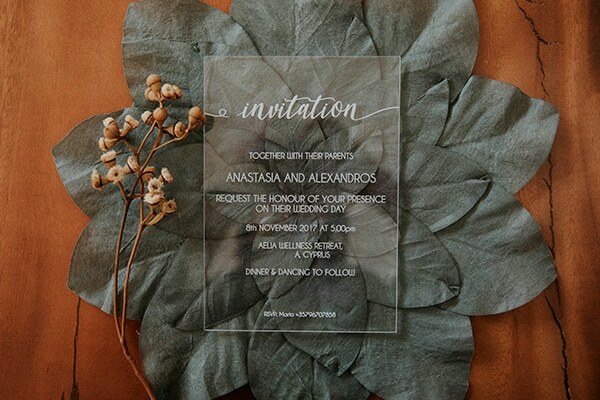 The edgy wedding decoration is taken from another era, with autumn colors, wooden and gold details, candles and bouquets of unique flowers. 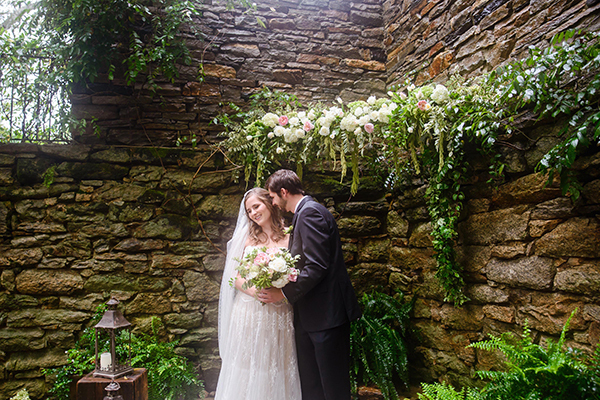 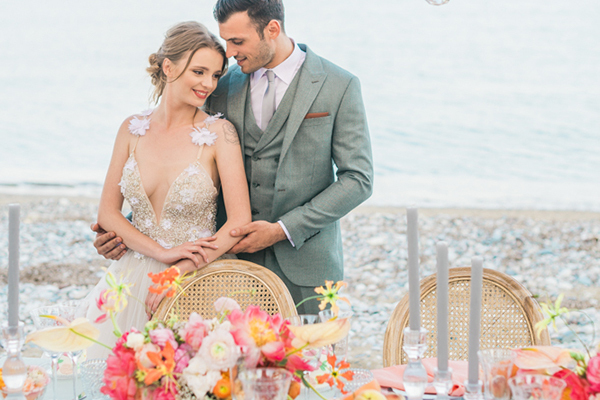 What to say about the ultra-stylish wedding dress from Gala Montenalapoleone… so gorgeous! 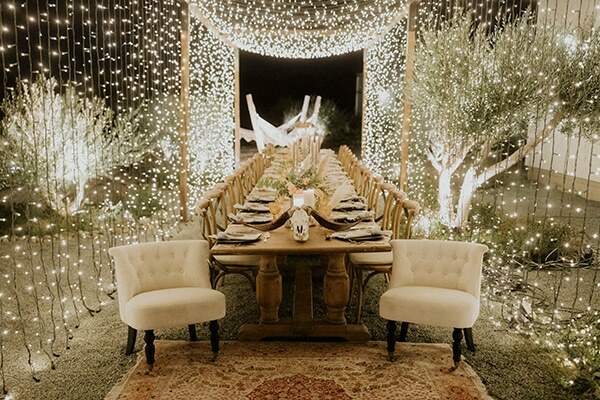 Get ready to feel completely transported in a fairytale scenery that looks unreal!